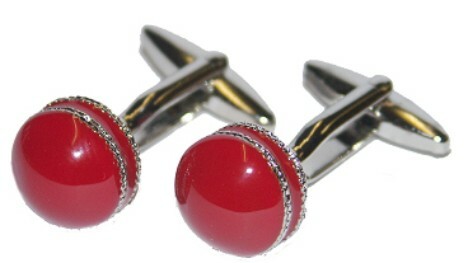 Rhodium Plated cufflinks featuring cricket balls. A range of cufflink boxes are also available. Prices for boxes start at £1.20.